(MoneyWatch) By announcing the European Central Bank plan to buy short-term bonds, ECB President Mario Draghi did what many had hoped he would do today. If successful, the "unlimited" plan for buying short-term bonds will help bring down the borrowing costs for Spain and Italy, giving them more time to right their ailing economies. What the plan does not -- and cannot -- do is fix the substantial economic problems they face. That is the real cause of investor fears. Speaking at a long-awaited press conference in Frankfurt today, Draghi said the Outright Market Transactions (OMT) plan will have no set limit on the amount of bonds the ECB could buy. This is a huge change from an earlier, limited bond purchase program that was not big enough to decisively lower borrowing costs. He said it would work because it was "very very different from any program we have had in the past." The new program would continue until its goal of lower borrowing costs is achieved, or a government violates the conditions attached to getting the help. OMT will only be put into action if a government asks for help. Receiving this help will be contingent on the government adhering to strict guidelines on spending. Spain has already said these guidelines are unacceptable. Draghi said OMT was needed because of "unfounded fears on the part of investors." This statement has not gone down well with many investors. "When you say these fears are unfounded you ignore what is actually happening in Europe right now," says Jeff Sica, president SICA Wealth Management and former Managing Director of Investments for Wells Fargo. "The ECB continues to do nothing to address the key issue: How is Europe going to grow its way out of the financial crisis?" In addition to its own substantial debt, the Spanish government is being asked to bailout the nation's regional governments. It is quite possible that many of Spain's banks are insolvent as a result of loans made during a housing bubble. The condition of the banks has continued to deteriorate as the nation's real estate market continues to collapse and depositors continue withdrawing money from them at a record pace. Spain is borrowing even more money to bail out its banks. The Greek government is broke and only remains open for business because of a series of bailouts. International lenders still will not loan to either Ireland or Portugal - after two years of following IMF imposed budget cuts. Sica is far from the only person or institution who believes this. Even as Draghi was speaking, Germany's economy ministry reiterated its position that ECB bond-buying cannot be a permanent solution and structural reforms must be the priority. 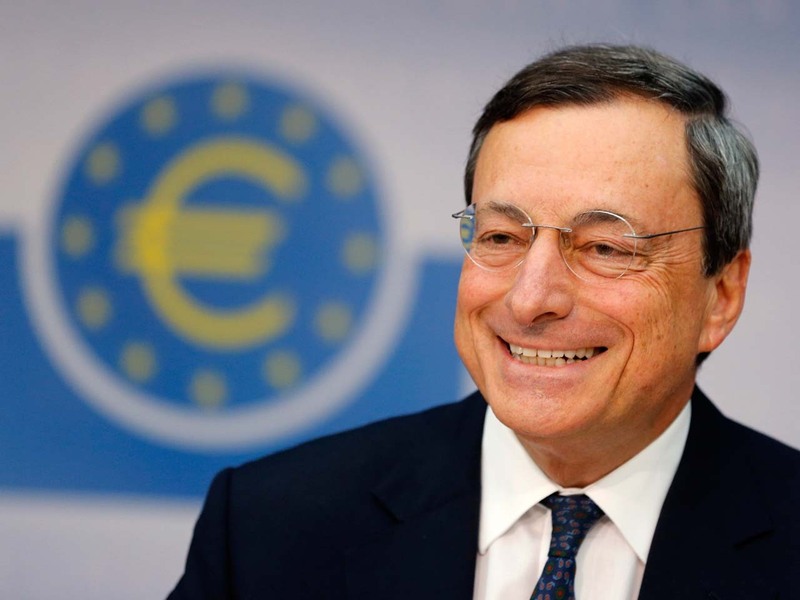 "This is just another stall tactic by the ECB," says Sica. "I expect any relief from it to be extremely short-lived." The ECB's previous bond-buying efforts involved fixed amounts of money and provided only a short-term decrease in borrowing costs. The question now is will the "unlimited" spending of the current effort change that.